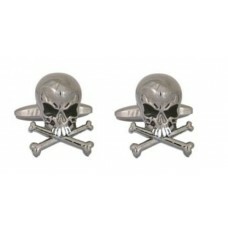 English cufflinks with very angry skulls. 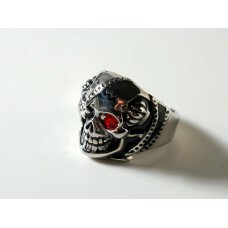 It is understood by the white enamel teeth and the grim ex..
iPhone 4 case for real dark-soul bad guys/girls. On the front there is a skull with bones in ice-col.. Tie with shiny black background. At the lower end is a seal, almost certainly a pirate, with a skull.. 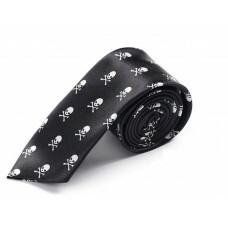 Thin skinny tie with small white skulls and bones on black. 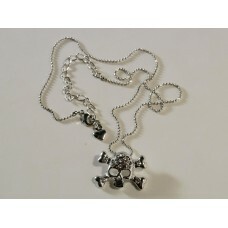 They are all of equal size and form a ni..
Chain necklace with small skull and bones covered with brilliant cut crystals. The necklace, with sm..
Papillon or bow tie for skull lovers. 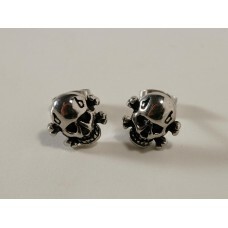 It is black, in polyester, and is decorated, in fact, with whi..
Earrings in polished steel representing skulls with bones. 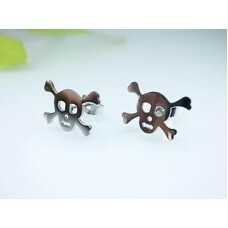 Very pirate! CLOSING: Pin, by hole. 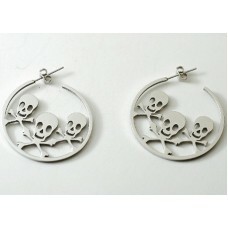 DIMEN..
Large hoop earrings with three skulls and bones, rather piratical. CLOSING: pin, for hole. DIMENSION.. 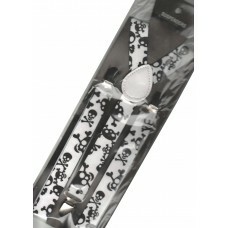 Tie with black and white checkerboard on which are repeated very bad skulls with bones. It's good fo..